Building More Than Great Machines. At Ahaus, we are proud of our reputation for building quality, future-leaning projects that meet or exceed customer expectations. More than that – we are proud of our reputation for developing team members, from apprentices to managers. 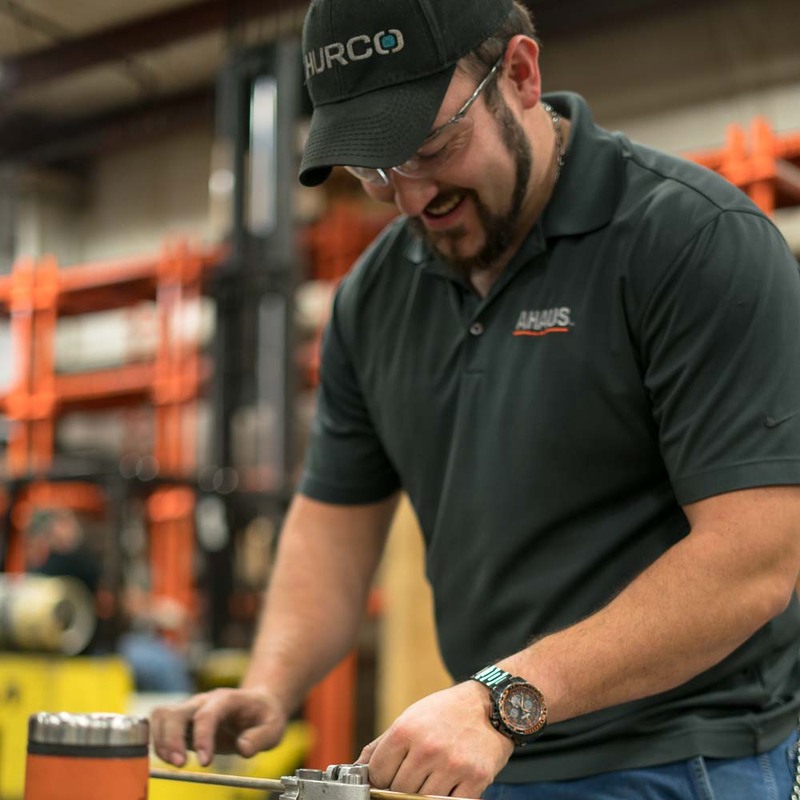 We understand that people are our most valuable resource and we act upon that belief, from empowering employees to further their education to creating an environment that promotes teamwork and personal improvement. 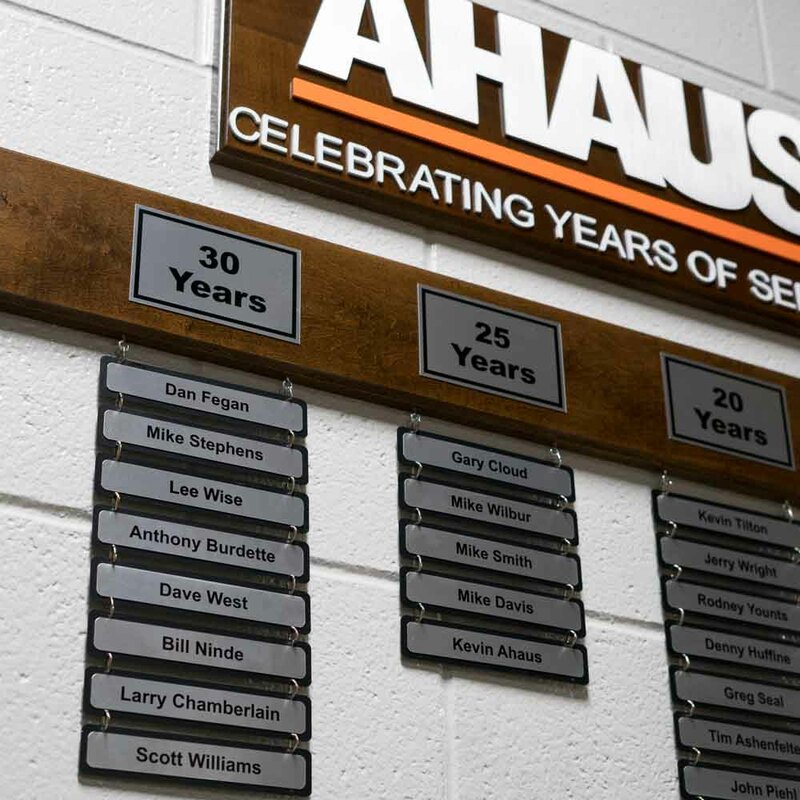 For over 70 years, Ahaus Tool and Engineering has been offering customers high-quality solutions to challenging manufacturing, tooling and automation equipment needs. 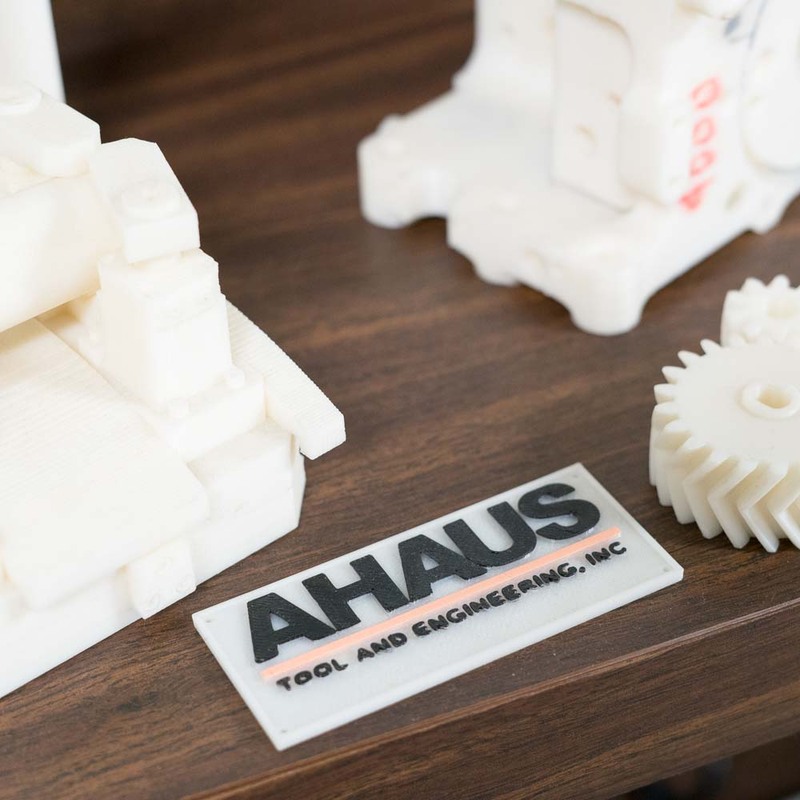 Located in Richmond, Indiana, Ahaus works with customers through conceptual design, engineering, service and support to meet their specific requirements. To have the best team experience, we need the best team members. 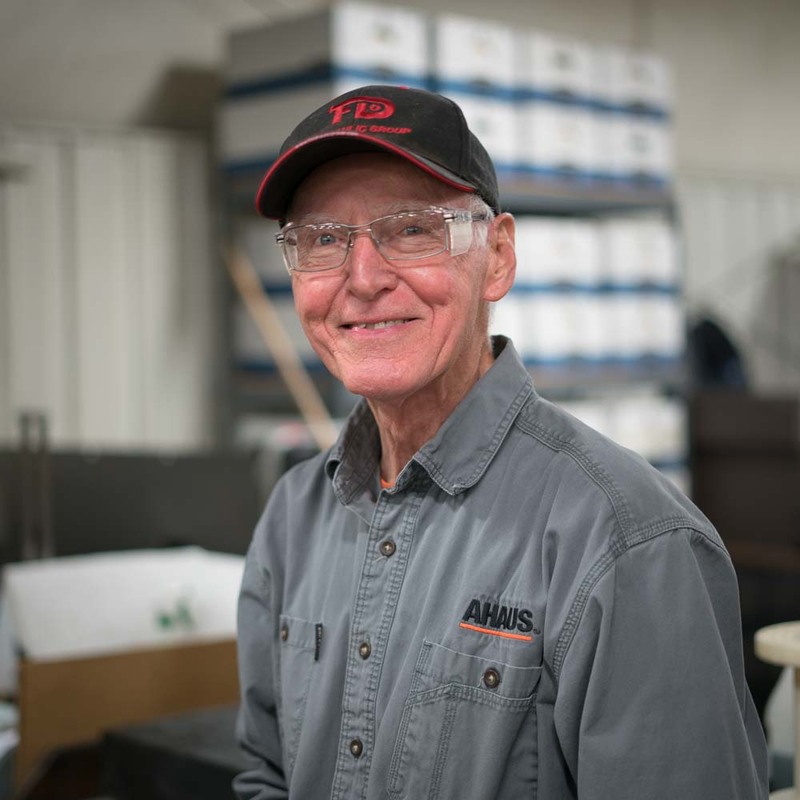 Our 108 employees range in experience from high school co-op students to over 40 years in the manufacturing industry spanning three generations. A high-value commitment to stellar workmanship, strong customer relationships, and sound machine and automation equipment design. Deliver on what has been promised. Have a sense of urgency in everything that is done. Take the initiative to do things right, resolve issues, and improve the process. Ahaus Tool has always felt a strong connection to our local community. 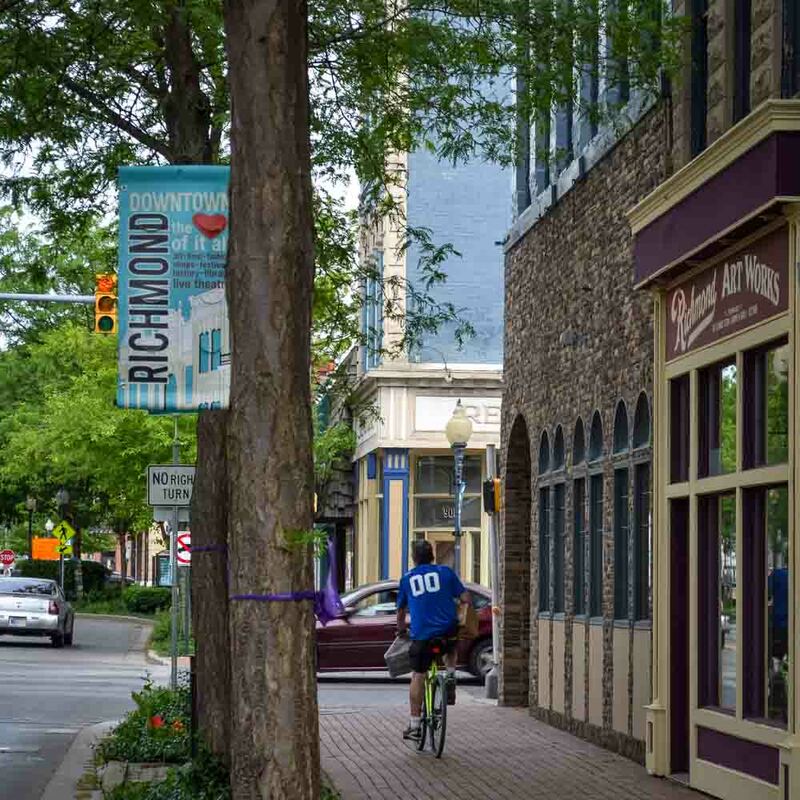 We remain committed to the Richmond area and firmly believe in giving back. Over the years we have provided financial support to a variety of local organizations, including the United Way, Boys and Girls Club, Richmond Third Grade Academy, Purdue College of Technology in Richmond and many local sports teams. We also provide financial support and remain active in local business organizations, including the Chamber of Commerce, Economic Development Corporation and Ivy Tech Community College. Ivy Tech recognized our generous donation by naming its Machine Tool Lab after Ahaus Tool and Engineering.